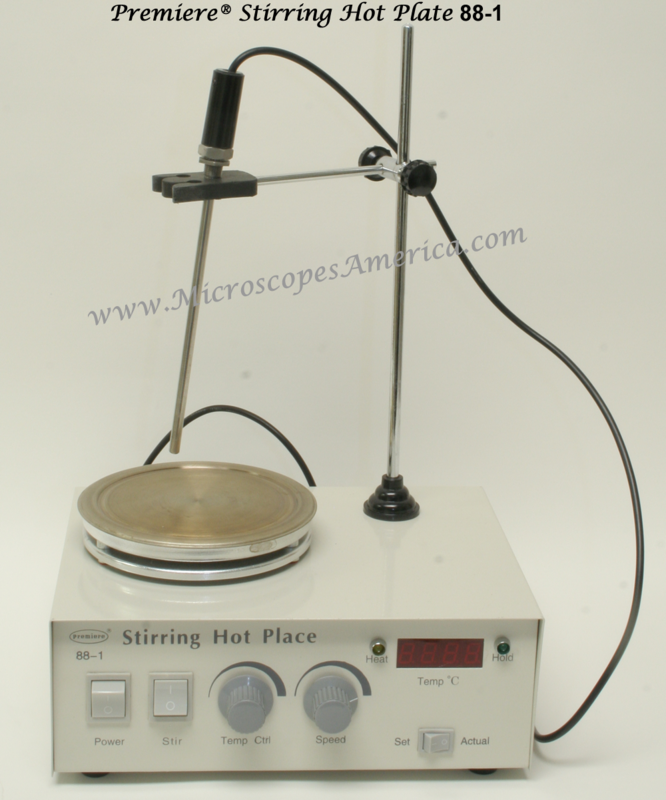 Hote Plates | Microscopes America. 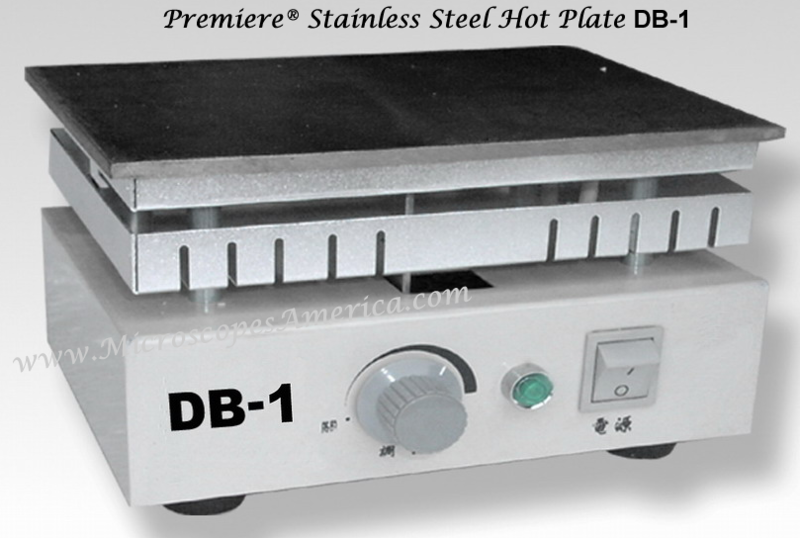 • Heating Surface- 7.8" X 6"
• Overall Size- 14" X 8.5" X 4"
This stirrer hot plate has the ability to heat and stir simultaneously or you can perform each function separately. 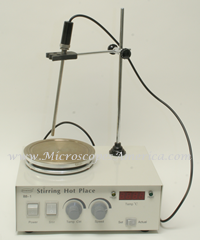 Stirrer hot plate can carry out precise stable stirring of the liquid even at high speeds. Comes with Tempature probe. LED display can manually switch between set tempature and actual tempature. • Working Surface Diameter- 6"
• Overall Size- 11" X 6.3" X 4"